Welcome to the Advantia Spine & Pain Center. Known for his ability to treat the most difficult cases of chronic pain, Dr. Reece’s contemporary, multi-disciplinary approach is the future of pain management. His vision, experience, passion, and expertise keep Advantia on the cutting edge. Dr. Reece is an Interventional Spine & Pain Physiatrist. He is an Osteopathic Physician (D.O.) obtaining his Medical Degree from Philadelphia College of Ostepathic Medicine. His primary specialty Board Certification is in Physical Medicine & Rehabilitation (PM&R) with additional subspecialty Board Certifications in Interventional Spine & Pain Medicine, as well as Neuromuscular Electrodiagnostics. Dr. Reece is also Certified in Medical Acupuncture. He completed his Internship and Residency at Walter Reed National Military Medical Center (WRNMMC) and completed an ACGME accredited joint Interventional Pain Fellowship at WRNMMC with Johns Hopkins, and the National Institutes of Health (NIH). 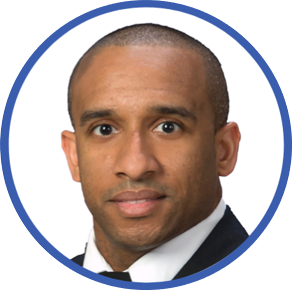 Dr. Reece specializes in treating complex pain & neuromuscular disorders, acute and chronic musculoskeletal sports injuries, traumatic brain and spinal cord injury, headaches, and polytrauma amputee rehabilitation. Dr. Reece incorporates an expansive variety of fluoroscopically and ultrasound-guided interventional procedures, along with regenerative medicine injections, acupuncture, osteopathic manipulation, and other complimentary alternative medicine modalities into his comprehensive pain management strategy. He is an Assistant Professor of Physical Medicine & Rehabilitation at the Uniformed Services University of the Health Sciences, and the Musculoskeletal Pain Consultant for the White House Medical Unit! During your first visit, we will review your medical history and any tests that you have had performed as we work to determine your level of pain and its cause. After your first visit, you will have a better understanding of your pain and a plan for further evaluation and treatment. Our approach is to educate patients on the latest research and provide treatment options based on the best scientific evidence available. Print our Referral Form and give it to your current doctor. Click HERE to get our Referral Form. Take a video tour of our beautiful Beltsville office.